With Thanksgiving just a few days away, I'm excited to share what I'll be wearing to stay chic while waistline stretching friendly and to share a special treat with all my LA readers! I can't believe Thanksgiving is almost here! With three Friendsgivings already in my belly, this marathon calorie consumption holiday doesn't seem to be slowing down anytime soon. And by the looks of my expanding by the meal waistline, I'm definitely going to need to wear something comfortable and stretchy on the big day. Rompers make for great Thanksgiving outfits as the waistband is either nonexistent or elastic allowing for breathing room! 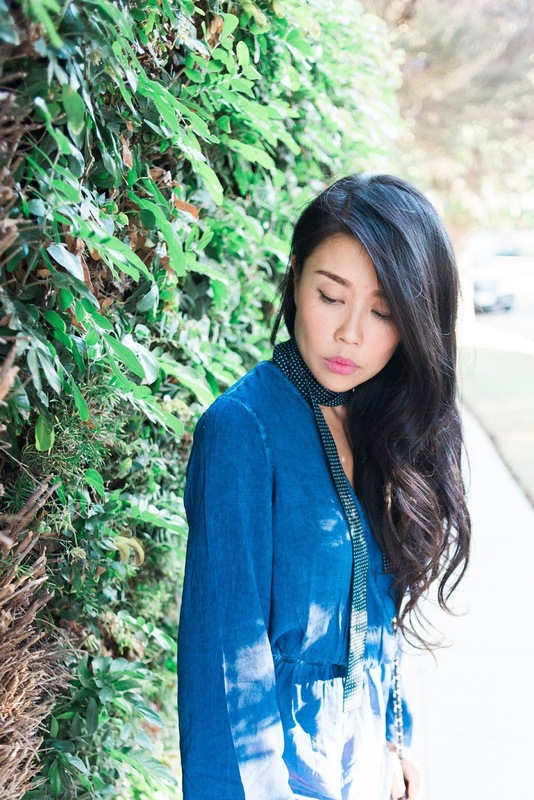 I love my betro simone kimono romper as the long bell sleeves are super on-trend and will keep me warm enough during LA's barely fall Thanksgiving weather. 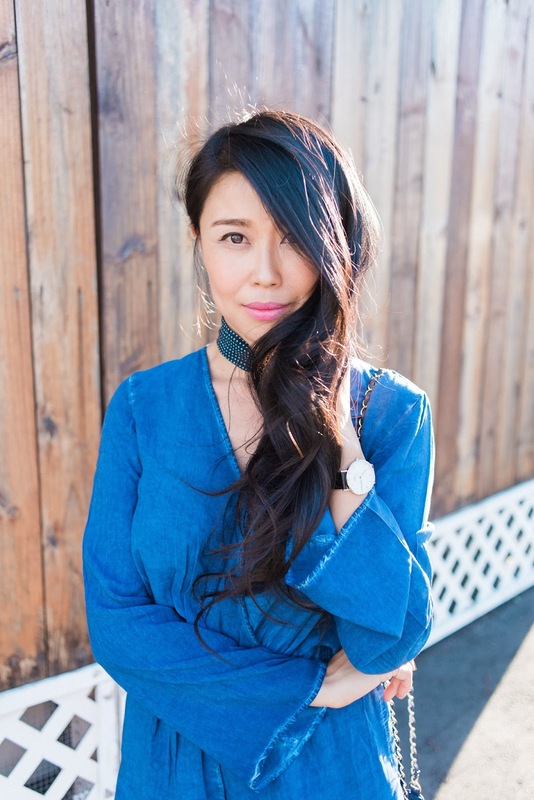 Aside from masterminding waistline friendly outfits, I've also been using Treat.me, a mobile app and concierge beauty booking service that provides unlimited monthly blowouts and manicures at some of LA's top salons. It's a brilliant idea for the holidays and for busy girls on the go as too often I need to look primped but lack the talent to do it myself. It's also a great excuse for a "treat yourself" moment. Get unlimited manicures for just $49/month, unlimited blowouts for $99, or get a pass for manis and blowouts for $135/month. The process is super simple. I simply request time and location and they'll take care of the rest. For a limited time they're offering my readers a 50% discount using code FAB50 at checkout! Go ahead and treat yourself during the holidays!